Preventing the rejection of organ transplants (kidney, liver, and heart). Neoral is also used to treat psoriasis and rheumatoid arthritis in certain patients. 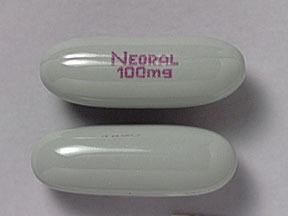 Neoral is an immunosuppressant. Exactly how Neoral works is not known, but it may block certain white blood cells (lymphocytes). This medication is used to prevent organ rejection in people who have received a liver, kidney, or heart transplant. It is usually taken along with other medications to allow your new organ to function normally. Cyclosporine is also used to treat severe rheumatoid arthritis and a certain skin condition (severe psoriasis). 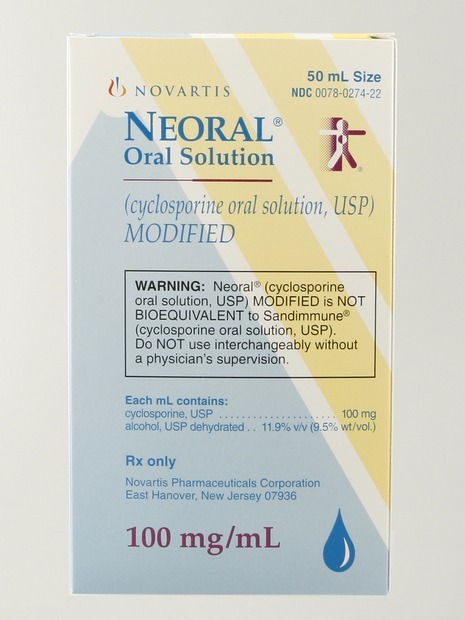 Cyclosporine belongs to a class of drugs known as immunosuppressants. It works by slowing down your body's defense system (immune system) to prevent your body from rejecting a transplanted organ, further damaging your joints (in rheumatoid arthritis patients), or further damaging your skin (in psoriasis patients). For the treatment of psoriasis or arthritis, it is generally used to treat people who cannot take other medications or have not found relief from other treatments.